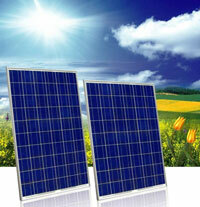 Solar based power system is now becoming popular to save energy and money. It is easy to install a simple 100 Watts Solar lighting system for outdoor lighting. No need for constructing the circuits and all necessary units are readily available and anybody can install this. It runs on a 12 volt Car battery and no switching is needed. It turns on the outdoor lamps around 6 p.m and turns off at 6.a.m. The car battery can power the system for minimum 3 years so it is very cost effective. Another advantage is that, the outdoor lights will automatically turns on / off even if the inmates are not in home giving some security. Cost of the system is around Rs.5000 including battery. This is my circuit published in Electronics For You Magazine. I have designed this circuit for checking the Earth connection in the power sockets ,whether it is intact or not. Earth connection is a must in power sockets especially if the gadget connecting has a metal body. If there is any leakage from live wire, the earth connection will bleed the current to earth and protect us from shock. So this circuit can be used to check the power sockets before using gadgets like Heater, Electric Iron etc. It also indicates whether there is power in the socket and the polarity of Phase and Neutral is correct.